The above comes from page 6 of Schackhistoriens snabbaste partier by Jostein Westberg (Avesta, 1969). However, the ‘1924’ cannot be correct, because the game had been published (without any date or venue) on page 108 of Schnell Matt! by Claudius Hüther (Munich, 1913). 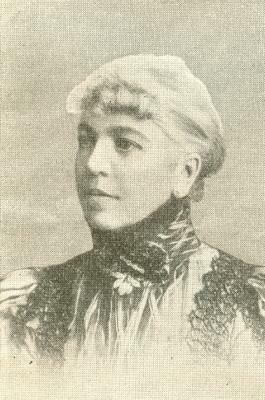 Relatively little has been written about Sir George Thomas’ chessplaying mother, Lady Edith Margaret Thomas (née Foster). With the Family Search webpage it takes only a few moments to find out that she was born circa 1853 at The Bogue, St Elizabeth, Jamaica. See also The Family of Col. John Foster, 1681-1731, from Elim, Jamaica. ‘No doubt my readers will remember that she won the first prize at the International Tourney at Hastings. [Sic. 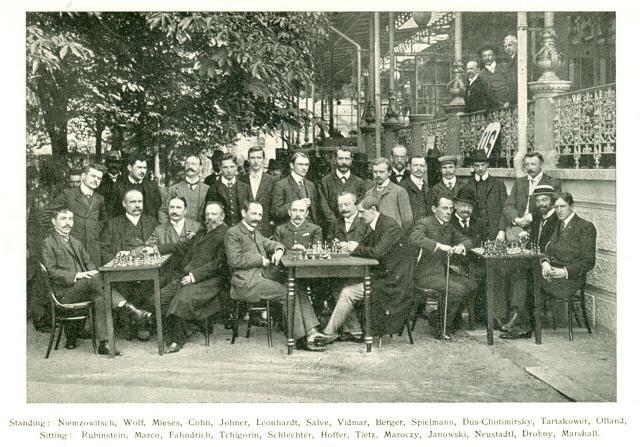 See page 16 of the Chess Monthly, September 1895.] 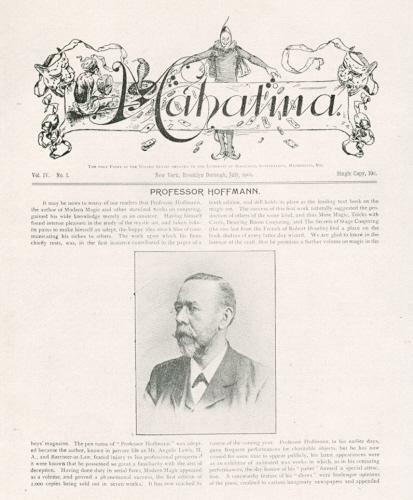 Lady Thomas comes of a chessplaying family; her brother, Mr William Erskine Foster, was a brilliant player and was, at one time, a pupil of Mr Steinitz; her son, a particularly bright clever lad of 14, is also a proficient player. ... Lady Thomas is a skilful player in several games. The second drawing-room is marked out for badminton and, when wet, the Turkey carpet is rolled up and they indulge in the fun of having exercise and amusement indoors. She is also a brilliant billiard player and cyclist. ... While in Constantinople, Lady Thomas was the only lady who rode about unattended into the country, and she never met with any molestation, though, as a precaution, she had a pocket made to her saddle to carry a revolver. 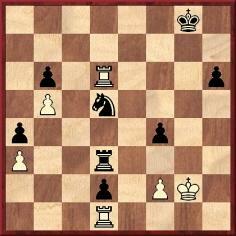 26 Ng4 Kh8 27 Nh6 Rc7 28 Rh4 Qd7 29 Qg5 Qd6 30 Ng4 Rf5 31 Qh6 and Black lost on time. Our correspondent has provided sample pages. 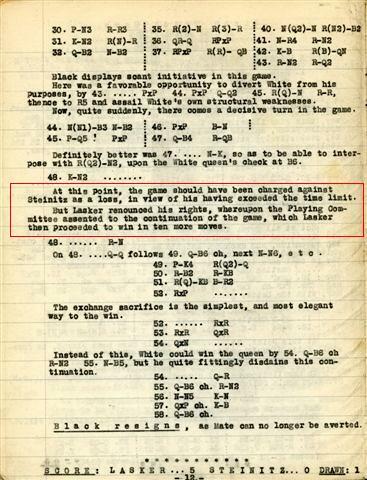 Below is a game from the 1912 British championship, published on page 411 of The Field, 24 August 1912. Hoffer’s concluding comment was ‘An endgame of rare beauty’. 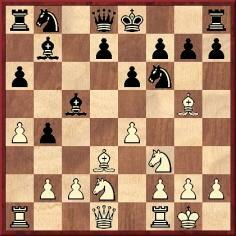 45 Qxd5+ Qxd5 46 Be4 Ka7 47 Bxd5 Nf3+ 48 Bxf3 Bxf3 49 Be3+ Resigns. Charles Sullivan (Davis, CA, USA) asks about the game E. Znosko-Borovsky v A. Alekhine, St Petersburg, 27 January 1914, as given on pages 92-93 of the Skinner/Verhoeven volume on Alekhine. After 34 Rh2 Ne7 35 Ng2 Rg5, instead of 36 Be4 White could have won a piece with 36 Qxe7, and our correspondent therefore wonders whether the game-score is correct, and whether the move-order was perhaps 34...Rg5 35 Be4 Ne7 36 Ng2 c6. 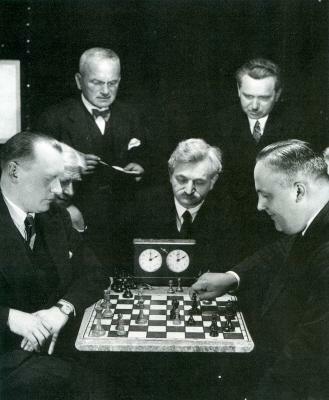 Given that the Skinner/Verhoeven book reproduced the game-score accurately, the question is whether an oversight occurred at the board at move 36 or whether Alekhine erred in the move-order which he submitted to the Russian periodical. 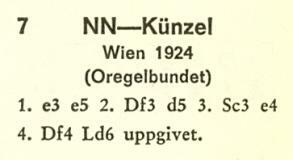 Gábor Gyuricza (Budapest) asks for details about a game widely given as ‘P. 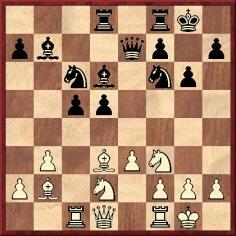 Damiano v T. Halász, 1512’: 1 e4 e5 2 Nf3 Nf6 3 Nxe5 Nxe4 4 Qe2 Qe7 5 Qxe4 d6 6 d4 f6 7 f4 Nd7 8 Nc3 dxe5 9 Nd5 Qd6 10 fxe5 fxe5 11 dxe5 Qc6 12 Bb5 Qc5 13 Be3 Qxb5 14 Nxc7+ and wins. We note that the moves appeared (with no mention of Damiano or anybody named Halász) on pages 36-37 of Das Schach des Herrn Gioachino Greco Calabrois und die Schachspiel-Geheimnisse des Arabers Philipp Stamma by Moses Hirschel (Breslau, 1784) and on pages 46-48 of The Games of Greco by Professor Hoffmann (London, 1900). Our correspondent asks for more information about this reference to six-fold repetition. The fifth congress had been held at New York, 1880, and the Code was given on pages 164-171 of that event’s tournament book. ‘Most of the players have very well developed craniums, and most of them smoke, but they seem to differ in temperament and in the quality of liquids which they imbibe. Blackburne is about 50 years old, of a rather florid complexion, and deliberate in his movements. He is fond of smoking a short briarwood pipe, crossing his legs, and quietly waiting for his antagonist to rack his brains over the next move. His opponent was Mr Hanham, a nervous little gentleman of about the same age, who hardly ever takes his eyes from the chess board. As the game progresses color mounts to his face and fire in his eye. Both Gunsberg and Burn are Englishmen, and are said to be well matched. Gunsberg is a blonde, with very deliberate movements and a habit of looking out of the corner of his eye at his opponent when he moves a piece, as though he expected to trip him up. Burn pulls his hat over his eyes with a “you-can’t-catch-me” expression as he deliberates, and not unfrequently changes an attack into a defense. Gunsberg sips seltzer, and Burn puffs away at a cigar. 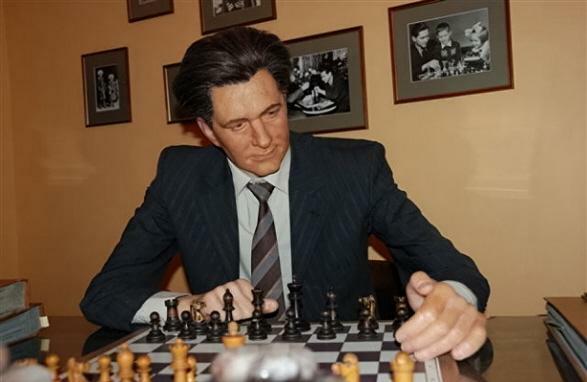 Chigorin is a rather slender Russian, with black hair and dark complexion. His face is lighted up by thoughtful and large light-blue eyes. He is nervous in his manner, and, as the play proceeds, becomes more nervous, perhaps from drinking a large cup of strong coffee and smoking a cigar. He watches the game intently and deliberates long before making a move, when he sometimes gets up, stretches himself, and goes to another table, where he watches the game for a couple of minutes. His opponent, Delmar, is very well known to chessplayers in New York. He, also, is a coffee drinker and smoker, and is just as deliberate as Chigorin in his calculations and movements. Weiss, the Vienna player, does not, at first sight, look like a chessplayer, but rather like a good-natured German who can enjoy his lager and pipe and listen to the band. He does not seem to pay very much attention to the game either, but he has the faculty of making rapid calculations and seeing many moves ahead. He has a great deal of confidence in himself. 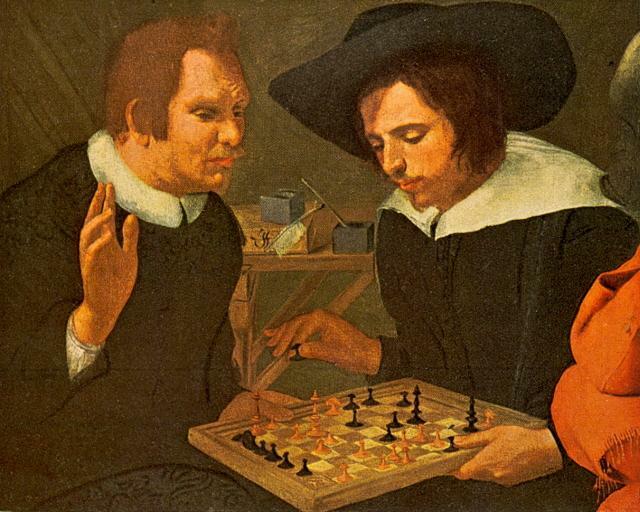 Burille, his opponent is a clean-shaven young man, with a prominent nose, and carefully studies the game. For further information on the Ben Jonson-William Shakespeare picture, see Chess and Shakespeare. 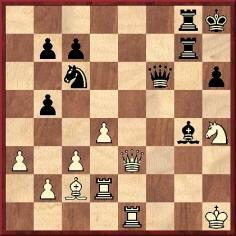 Which chess master wrote a book with these illustrations? Rod Edwards (Victoria, BC, Canada) notes a report on page 73 of the New York, 1857 tournament book that ‘Mr James Ferguson, of Lockport’ was appointed to the committee ‘on the problem tournay’, while page 146 listed him among those who sent letters regretting their inability to attend the congress. 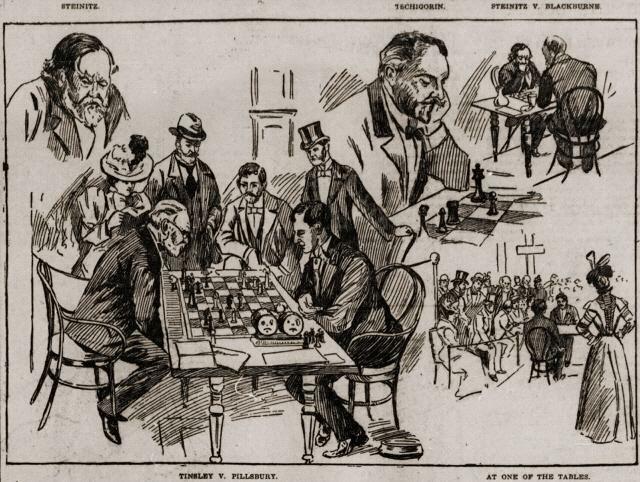 Finally, in the article on ‘Chess in New York’ page 414 mentioned ‘Mr J. Ferguson, of Lockport’ as a frequent visitor to the New York Club at its rooms in Twelfth Street after it was established there in 1856. ‘The brothers L. and W. Paulsen were always known to be remarkably slow players. 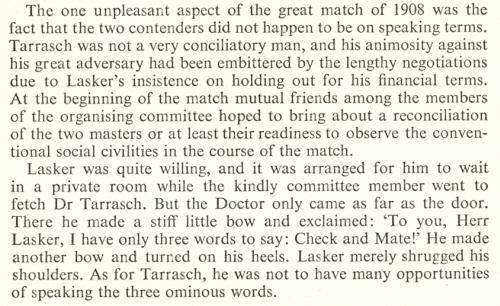 At an international tournament, before clocks were introduced to regulate the number of moves to be made in an hour, W. Paulsen consumed just 70 minutes in making a move in a game which he was playing with Zukertort. Z., who was conversely known as a remarkably rapid player, to pass the tedious time engaged in conversation with an amiable lady sitting near the table, and who had followed the development of the game with more than common interest. 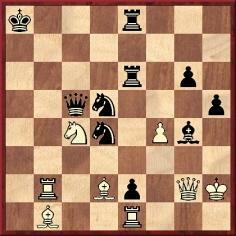 At last Paulsen moved his queen from Kt2-B3. 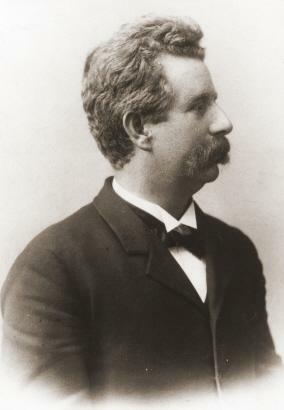 Kevin Marchese (Canal Winchester, OH, USA) informs us that he is writing a book on Jackson Whipps Showalter, with the assistance of some of the master’s relatives, and that the work will show that Showalter was born on 5 February 1859 (and not 5 February 1860, as previously believed). His exact place of birth is still being investigated. 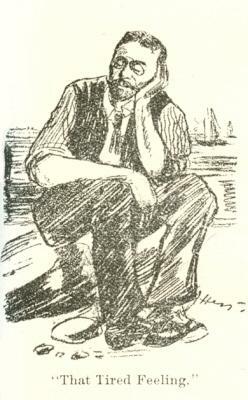 This sketch (from life) of Showalter by Mrs G.A. 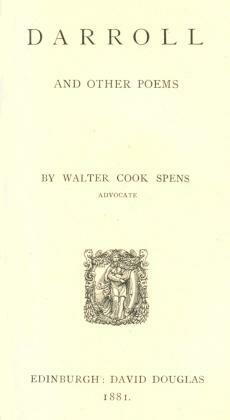 Anderson was published on page 67 of the 1922 issue of Chess Pie. 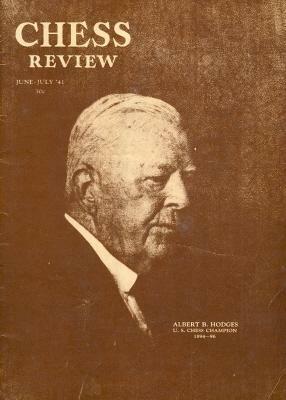 It was also reproduced to accompany an article on Showalter by W.H. 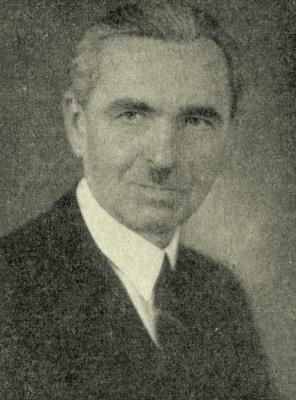 Watts on pages 44-45 of the Chess Budget, 11 November 1925. 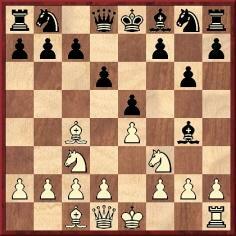 The ‘sea air’ matter was discussed on pages 188-189 of Chess Explorations and in C.N. 5517. We wonder whether Tarrasch gave any further explanation or apology for his claim to have been affected by the sea air in Düsseldorf, which is roughly 180 kilometres from the coast. 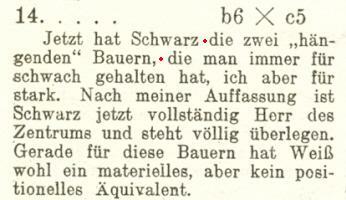 Below is a report on page 289 of the September 1908 Deutsche Schachzeitung. Carla Campbell (Allen Park, MI, USA) informs us that her grandfather Jack O’Keefe died in Ann Arbor, MI on 31 July 2008. 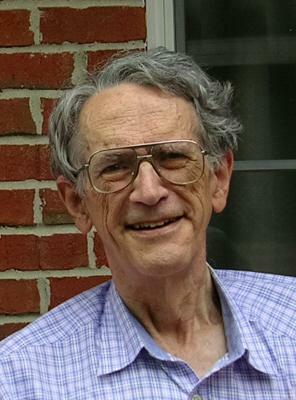 An obituary has appeared in the Ann Arbor News. We learn of Mr O’Keefe’s death with the deepest regret. 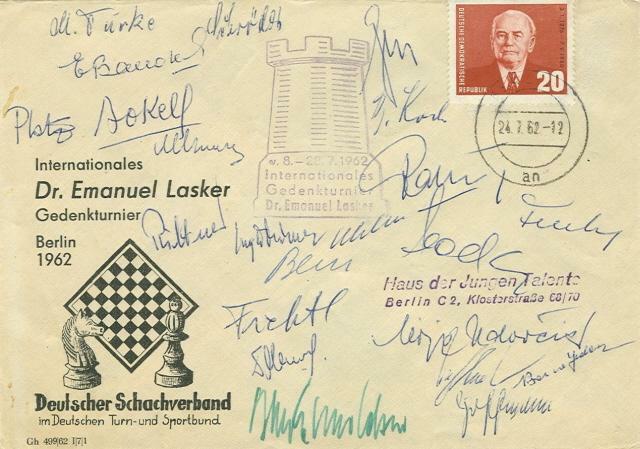 His knowledge of chess and his research skills were outstanding, as were his numerous contributions to Chess Notes. He was one of our finest correspondents. 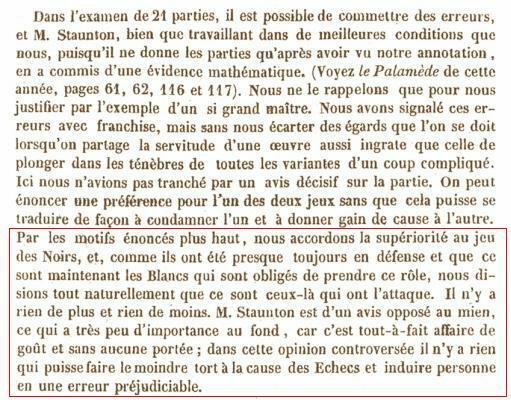 An annotational disagreement occurred between Staunton and Saint-Amant regarding two positions in the 16th game of their match in Paris, played on 11 December 1843. 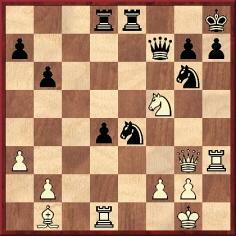 After 20 exf5 the game continued 20...gxf5 21 Nh5 Qe8 22 Nxf6+ Rxf6 23 fxe5 Qxe5. The two positions entail general positional considerations, rather than specific analysis, and we should like to know how a modern master assesses the respective views of Saint-Amant and Staunton. 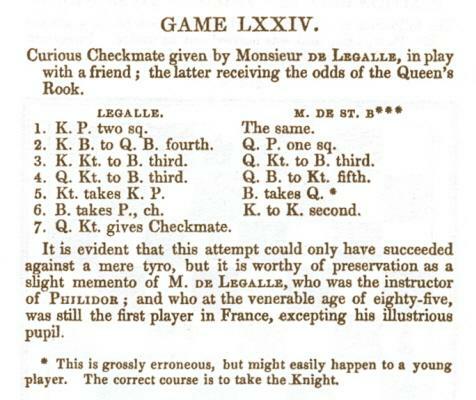 The game, which Saint-Amant won at move 58, lasted nine hours (Le Palamède, February 1844, page 66). Michael Chigorin of St Petersburg is about 35 years of age, a little below the middle height, but compactly built. He has regular features and rather dark complexion, and his hair and short beard are jet black, but what strikes one is the extreme blueness of his eyes. They are large and have a thoughtful expression, although when he is telling a story they beam with merriment. He does not smoke at all, but drinks a good deal of coffee and tea and, occasionally, a glass of whisky. 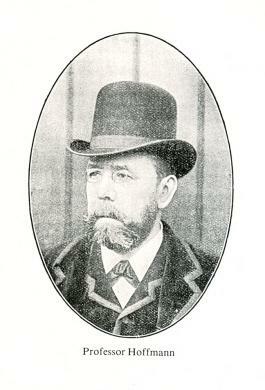 Amos Burn, the champion of Liverpool, and his hat and pipe are inseparable. It was whispered that all three slept together at night. However, the charge was not believed, because his hat, which was a derby, never showed any breaks or other marks of ill usage, and was always carefully brushed. Mr Burn might be taken for a studious labor agitator, not of the professional class, though, but of those who are in earnest and study the problem, for his face has a thoughtful look. He is nearsighted, and his spectacles give him a scholarly appearance. ... Isidor Gunsberg was brought up in London, and has the appearance of an Englishman. His hair is very light, and he is slightly bald on the top of his head. A little below the medium height, he is not slender. His eyes are weak and trouble him a little. In his movements and conversation he is deliberate, his chess training having probably disciplined him to be guarded in everything he undertakes. Unlike the other players, he neither smokes nor drinks, because both vices disagree with him. The only beverages he indulges in besides water are vichy and tea. ... If he refuses the offer of a draw he does so without any bluster, for he is modest and gentlemanly. When he wins, he nods, and smiles at his defeated antagonist. Bird is past his 60th year. He is tall, very well built, and in his younger days must have been a handsome, muscular man of presentable appearance. His skin is fair, and his light blue eyes, under a well-shaped brow, beam with intelligent good humor except when they are clouded by twinges of pain from rheumatism. It has already bent his form, and he walks with difficulty. Toward the end of the tournament he frequently appeared with his right hand swollen and bandaged up. When playing, Mr Bird’s face becomes grave and thoughtfully intent upon the game before him. He does not scan the face of his adversary, and seldom takes his eyes off the board. Every now and then he painfully shifts from side to side, as though seeking relief from pain, and smokes a great deal. He prefers a Cuban cigar, but when he cannot get one he fills his pipe and puffs away at that. ... When not at work he likes to sit down to a glass of beer and a pipe, and to engage in a running conversation. He speaks with a broad London accent, although he studiously avoids the vulgar cockney mutilation of the letter h; nor does he aspirate the a. Neither does he pronounce his r like a w, which so many dudes imagine is English. When in London he is a great frequenter of the Criterion. Eugene Delmar ... is compactly built, has a frank, affable countenance and sports a luxuriant mustache. He is a thorough New Yorker, and could easily be picked out for one among ten thousand. ... He is an inveterate smoker and always puffs the strongest cigars he can find. Personally Mr Delmar is an affable, genial gentleman who both enjoys and knows how to make a good joke. Mason ... is a small man with dark hair and bright blue eyes. He comes from London, where he was left an orphan at a very tender age, and whatever prominence he has attained he owes directly to his own inherent genius. He has quick and clear perception at chess, and has the ability to circumvent an enemy. His only faults are boon companionship and a weakness for strong drink, of much of which he is physically unable to partake. ... He is a great smoker. 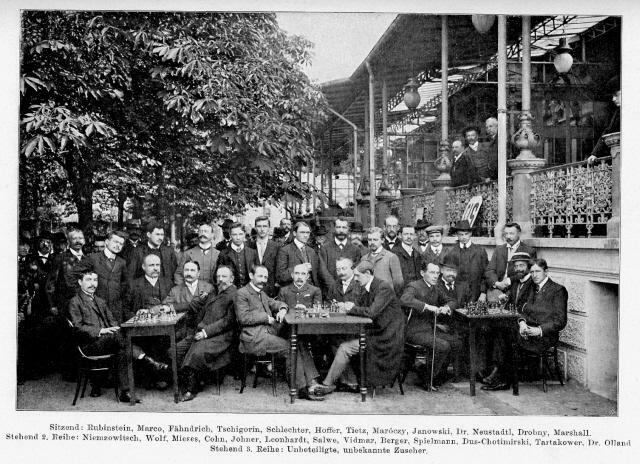 Lipschütz is generally regarded as the champion chessplayer of New York. He is about 35 years of age, rather tall and spare, and has a prominent nose. ... He is sociable and well liked by his acquaintances. Taubenhaus is rather below the medium stature, has mild brown eyes and a black beard. He almost always wears his hat, and is always puffing away at a cigar or pipe. Dion Martinez of Philadelphia is rather an elderly gentleman, tall and dignified. He was regarded as one of the strongest chessplayers in Philadelphia, but has not practiced much for two years past, and financial adversities have tended to detract his mind from the game. Of the Baird brothers, David G. is the better player by far. He plays with characteristic Scotch carefulness, for he is of Scotch descent. Of medium height, he is inclined to stoutness, and is of light complexion. 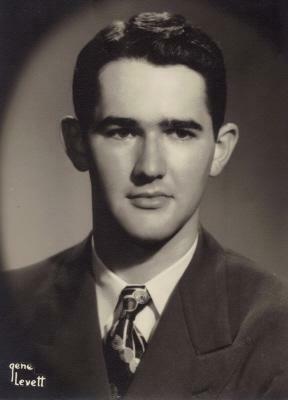 His brother John W. is very thin, although he looks like his brother in the face. He was one of the slowest players in the tournament. Can any reader cite an authoritative source for the date and place of death of John Washington Baird? We note that in the above game it is Steiner who was the exchange ahead. 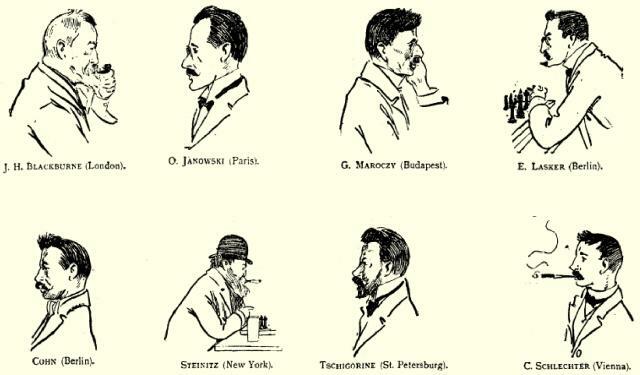 Olimpiu G. Urcan (Singapore) submits three sketches featuring Lasker, Chigorin, Pillsbury and Steinitz (the participants at St Petersburg, 1895-96). 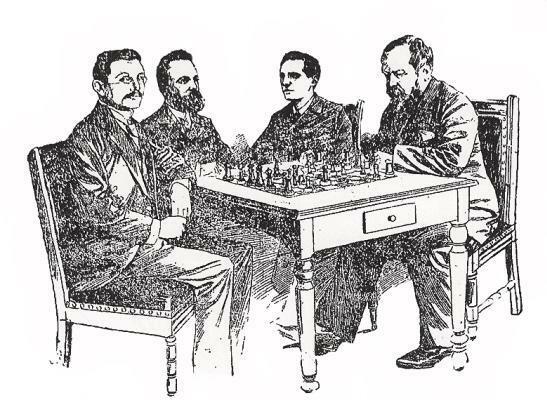 The illustrations are taken from the New York Tribune chess column of, respectively, 8 December 1895, 5 January 1896 and 12 January 1896. 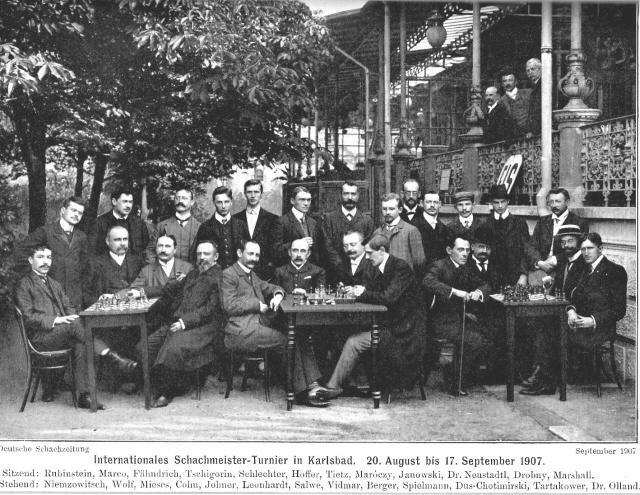 For an item in preparation it will be much appreciated if a reader can send us a high-resolution scan of the Carlsbad, 1907 group photograph as it appeared a) opposite page 257 of the September 1907 Deutsche Schachzeitung and b) on page ix of Das Internationale Schachmeisterturnier in Karlsbad 1907. Regarding the annotational disagreement between Staunton and Saint-Amant arising from the 16th game of their match in Paris in 1843, the first diagram below shows the position after 19...Na7-b5. 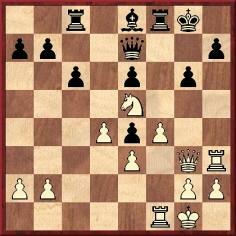 Play continued 20 exf5 gxf5 21 Nh5 Qe8 22 Nxf6+ Rxf6 23 fxe5 Qxe5, reaching the second diagram. 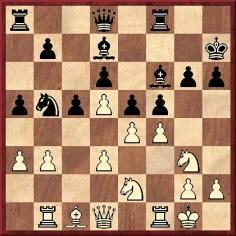 ‘After 19...Nb5 I much prefer Black’s position. I consider Staunton’s move 20 exf5 to be dubious because, as Saint-Amant correctly points out, the d5-pawn becomes weak. After 21 Nh5 I would have played 21...Bh8, retaining the two bishops and raising the question of what the white knight is actually doing on h5. In C.N. 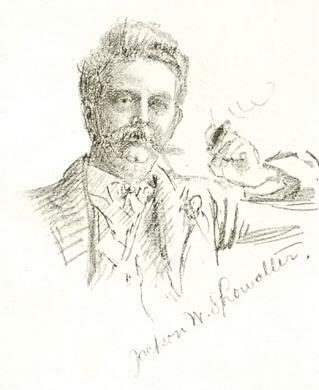 5620 a correspondent requested information about Angelo Lewis, who brought out The Games of Greco (London, 1900) under the pseudonym Professor Louis Hoffmann. 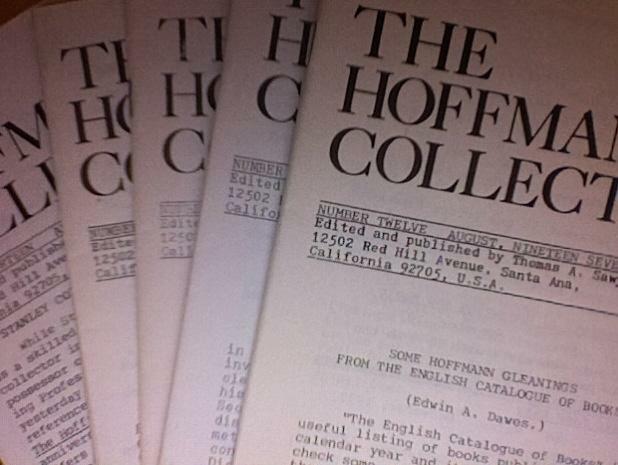 Thomas A. Sawyer (Irvine, CA, USA) informs us that from 1974 to 1986 he published 17 issues of a journal entitled The Hoffmann Collector which included an occasional ‘Chess Corner’. For example, page 179 of the August 1979 issue quoted a reference to a consultation game involving Lewis (the other players being J.H. 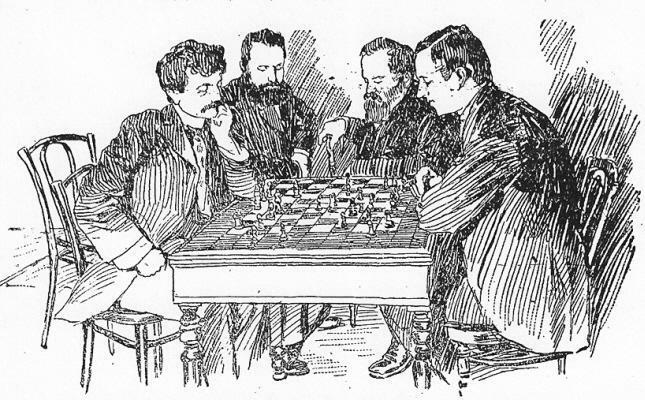 Blackburne, R. Teichmann and W. Shadforth Boger) from page 238 of the June 1901 BCM, as well as mentioning Lewis’s Introduction to Chess Novelties by H.E. Bird (London, 1895). 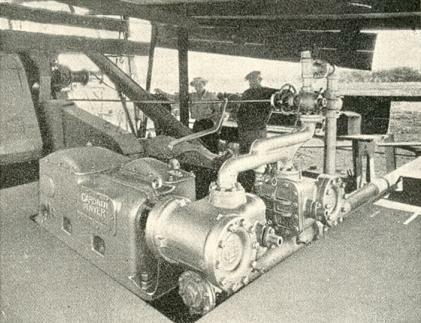 The illustrations in the present item are reproduced with the kind permission of Mr Sawyer. 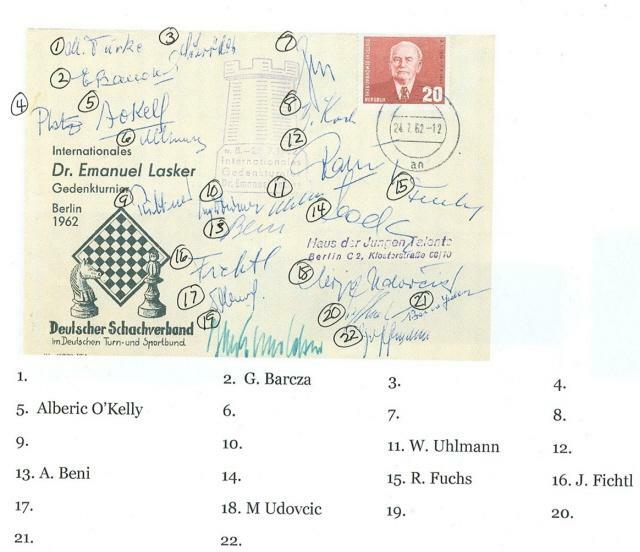 John Hill (Berwick, PA, USA) seeks assistance with identifying signatures on an envelope from the 1962 Lasker Memorial tournament in Berlin. 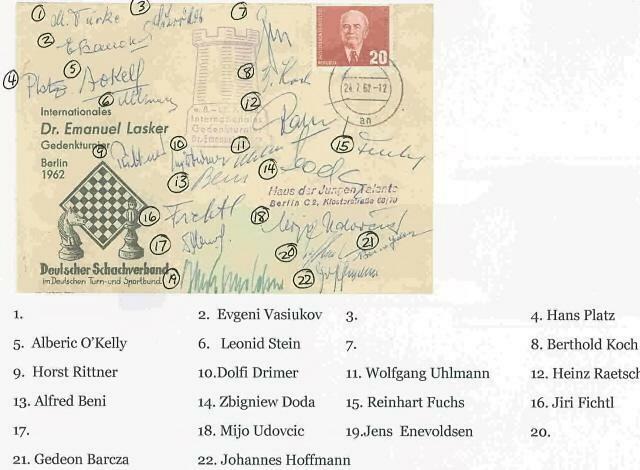 The participants were Vasiukov, Stein, Udovčić, O’Kelly, Fichtl, Minev, Uhlmann, Doda, Fuchs, Malich, Drimer, Liebert, Barcza, Beni, Enevoldsen and Rätsch. 10...Be7 (Alekhine appended a question mark to this move and wrote, in our translation in the above-mentioned book: ‘It was absolutely essential to play 10…d6 although White would have obtained the advantage in any case by 11 e5 dxe5 12 Nxe5 Qd4 13 Nef3 Qd7 14 Re1 O-O 15 c4 bxc3 16 bxc3, followed by 17 Qc2 and 18 Rad1.’) 11 e5 Nd5 12 Bxe7 Nxe7 13 Nc4 Nc8 14 Re1 d5 15 exd6 Nxd6 16 Bg6 hxg6 17 Nxd6+ Ke7 18 Nxb7 Qc7 19 Qd5 Rh5 20 Qe4 Nc6 21 g4 Resigns. 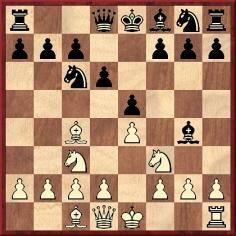 Mr Hamelrath comments that, in the note cited, 15 c4 allows Black the simple win of a piece with 15…Qxd3. 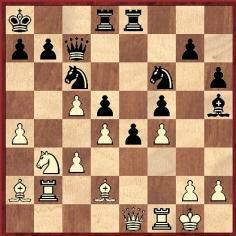 The game was taken from pages 249-251 of Alekhine’s posthumous book Gran Ajedrez (Madrid, 1947), where White’s 13th move in Alekhine’s variation appeared merely as ‘13 C3A’, with no mention of whether it was the knight on e5 or on d2 that went to f3. In the light of our correspondent’s remark it seems evident that we should have given the move as 13 Ndf3, and not 13 Nef3. 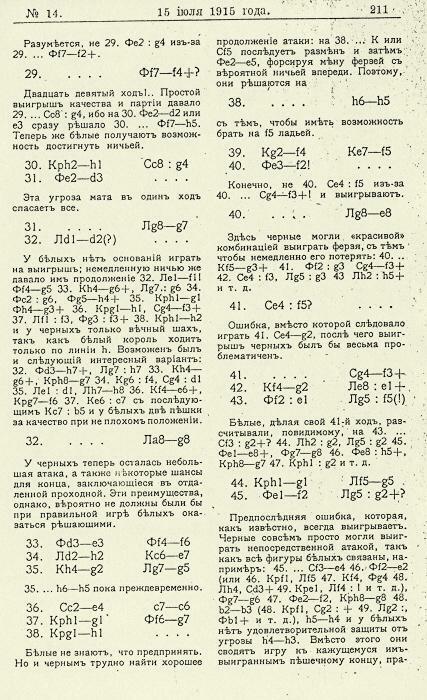 Alekhine’s note contained ‘13 Ndf3’ on page 231 of Bogoljubow – The Fate of a Chess Player by Sergei Soloviov (Sofia, 2004), although here too there is a complication: Black’s reply was specified as 13...Qd5, and not 13...Qd7 as in Gran Ajedrez. We now see a further discrepancy in Gran Ajedrez (whose title page, incidentally, even misspelled Alekhine’s name, as ‘Alehkine’). The Spanish book stated that the Bogoljubow v Rellstab game was played in Cracow (‘Torneo del gobierno general de Polonia, octubre 1940. 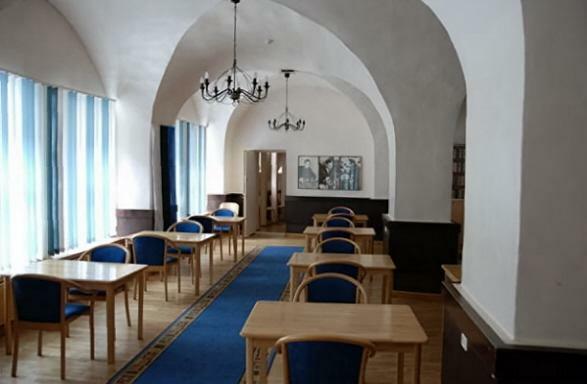 Celebrado en Cracovia’), and 107 Great Chess Battles also gave ‘Cracow’, as did the second volume of Bogoljubow’s games by Jack Spence published by the Chess Player (page 106) and page 68 of S. Petrović’s monograph on Bogoljubow (Zagreb, 1977). However, the above-mentioned Bogoljubow book by Soloviov had ‘Warsaw 1940’ and, on the basis of the reports in Deutsche Schachzeitung and Deutsche Schachblätter, it now seems to us that Warsaw, and not Cracow, is correct. 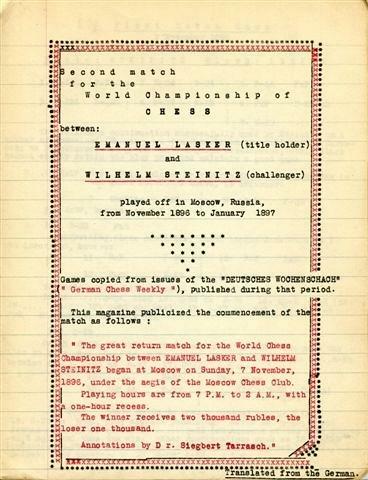 According to page 193 of Deutsche Schachblätter, 1 December 1940, which gave the crosstable, the tournament took place on 3-17 November 1940 (‘October’ was thus another mistake in Gran Ajedrez) as follows: in Cracow (rounds 1-4), in Krynica (rounds 5-7) and in Warsaw (rounds 8-11). Pages 169-170 of the November 1940 Deutsche Schachzeitung listed Bogoljubow’s opponents in the first four rounds (i.e. those played in Cracow) as Ahues, Richter, Müller and Gilg. Rellstab himself was the annotator of his game against Bogoljubow on page 198 of the 1 December 1940 issue of Deutsche Schachblätter. 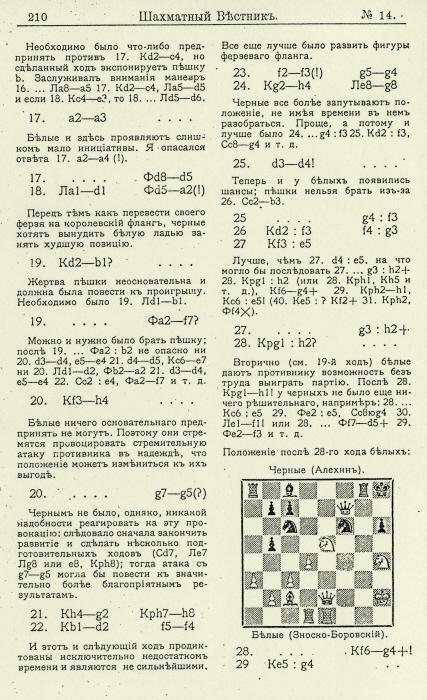 No venue or round number was indicated in the game heading, but round nine/Warsaw was specified when Max Blümich briefly annotated the game on pages 9-10 of the January 1941 Deutsche Schachzeitung. 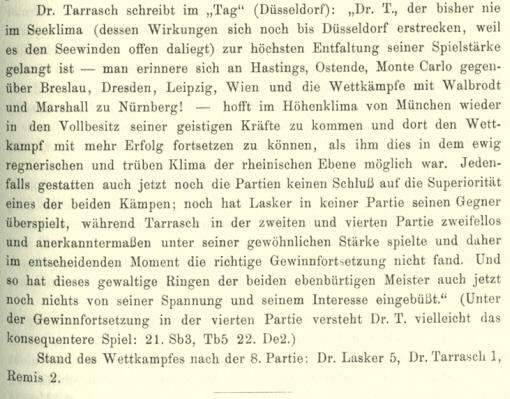 Even so, as regards the opening both German magazines had the game heading ‘Krakauer Verteidigung’ (Cracow Defence). 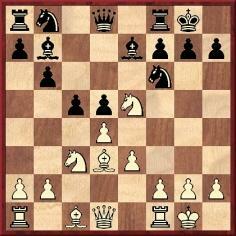 The order of the initial moves in each periodical was 1 Nf3 Nf6 2 d4 b5, whereas Gran Ajedrez had 1 d4 Nf6 2 Nf3 b5. Finally, at the end of the game the Spence and Petrović books added moves which were absent from both Deutsche Schachzeitung and Deutsche Schachblätter: 21...Rh6 22 Nc5. 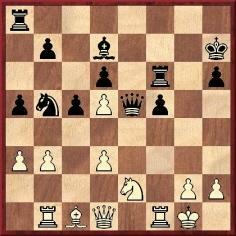 5 Nxe5 Bxd1 6 Bxf7+ Ke7 7 Nd5 mate. 5 Nxe5 (Mr Thornton comments: ‘In this version, Black could refute the combination by 5...Nxe5, winning knight for pawn.’) 5...Bxd1 6 Bxf7+ Ke7 7 Nd5 mate. What is the earliest known publication of each of these versions (and any others)? C.N. 5701 asked which master wrote a book with these illustrations. The answer is Lajos Steiner, in a work mentioned to us by Alan McGowan (Waterloo, Ontario, Canada): Die Rotary-Bohrmaschinen und ihre Antriebe (Berlin, 1936). 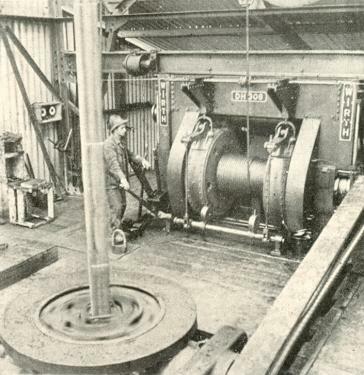 In the same field we also have Steiner’s longer, earlier volume, published when he was in his early 20s: Tiefbohrwesen, Förderverfahren und Elektrotechnik in der Erdölindustrie (Berlin, 1926). 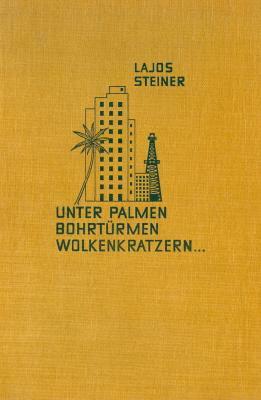 A further non-chess book by him which is of more general interest is Unter Palmen, Bohrtürmen, Wolkenkratzern ... (Stuttgart, 1931). Illustrated with 60 photographs, it described his travels in North and Latin America in February-June 1930. The book refrained from discussion of chess (e.g. 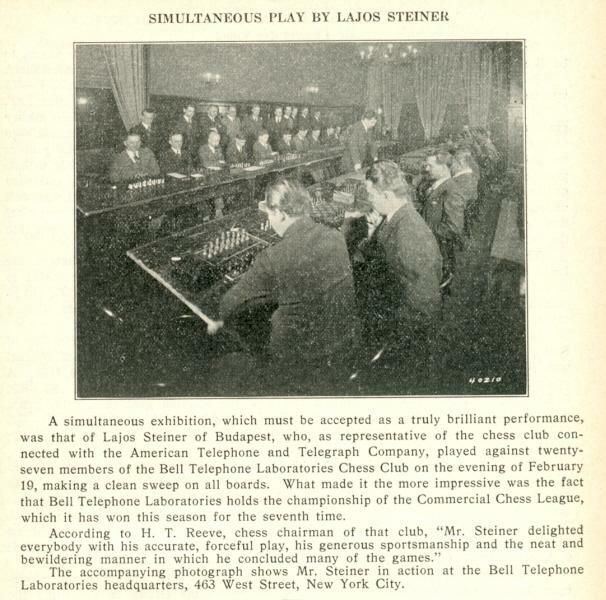 his match against Kashdan in New York), but Steiner provided an account of chess in the United States on pages 75-76 of the March 1931 Magyar Sakkvilág. In reverting to a matter raised by Philippe Kesmaecker (Maintenon, France) in C.N. 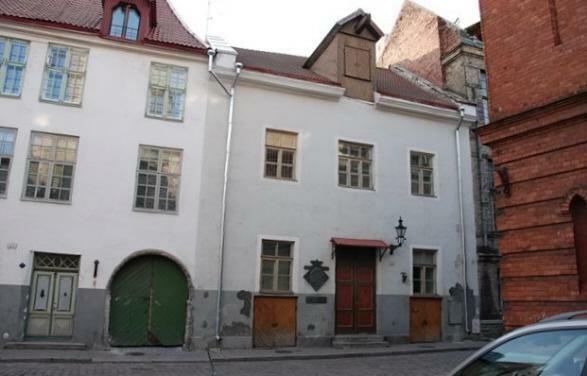 5685, we include two good-quality scans kindly supplied by Per Skjoldager (Fredericia, Denmark). 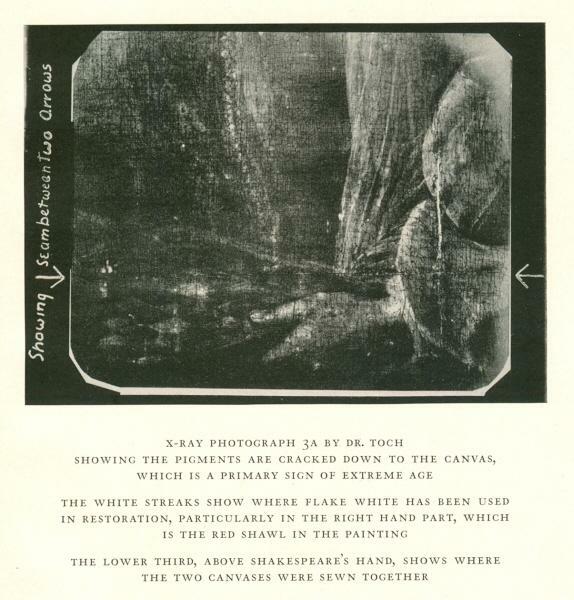 As Mr Kesmaecker remarked to us, the figures in the background progressively disappear. ‘Page 3 of Gino Di Felice’s Chess Results, 1747-1900 (Jefferson, 2004) lists a tournament at the “Cigar Divan” in London in 1840, suggesting by the numbering of the players that the (first?) four places were taken by Buckle, Bird, Williams and Tuckett, in that order. It is clear that there is an error here, at least in the date, since Bird was born in 1830. 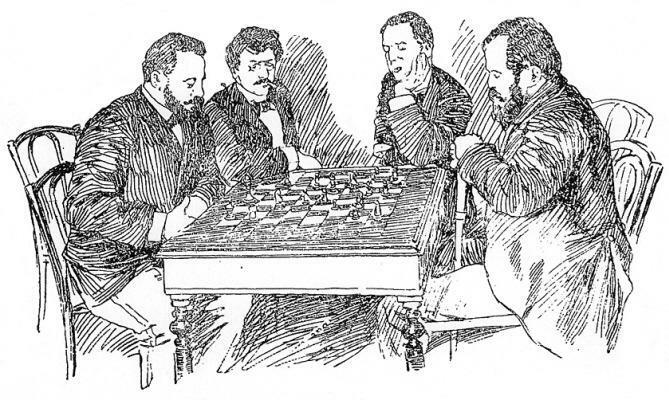 On page xii of his Chess History and Reminiscences (London, 1893) Bird wrote that he first visited Simpson’s Divan in 1846, and on page 23 of The Bristol Chess Club (Bristol, 1883) John Burt stated that Williams left Bristol for London in 1844. Mr Di Felice’s book gave no source regarding the ‘London, 1840’ tournament. Indeed, it was not until the sixth volume of the series, covering 1941-46, that the need to state specific sources was recognized. If the page references are replaced by 135 and 213, the comment of ours also applies to The Encyclopedia of Chess by Harry Golombek (London, 1977). That is no great surprise, given that so much of Golombek’s book was repeated by Divinsky, without acknowledgement or care. 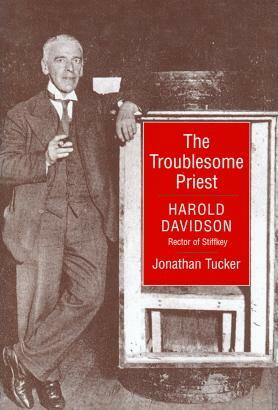 The best book that we have found on Harold Davidson is The Troublesome Priest by Jonathan Tucker (Norwich, 2007). Michael Lorenz (Vienna) has submitted a photograph which he took at Vienna’s Zentralfriedhof. 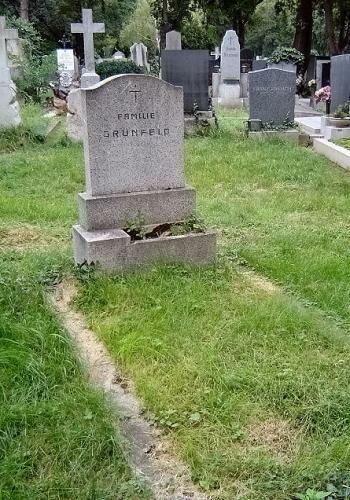 Grünfeld was buried there on 9 April 1962. Prompted by C.N. 5720, Dominique Thimognier (St Cyr sur Loire, France) has been investigating Legall and has succeeded in establishing his exact date of birth: 4 September 1702. For further details, see our correspondent’s article Legall (sire de Kermeur). As previously noted, the phrase is absent from the two poems about Morphy which Walter Cook Spens (1842-1900) published in the Glasgow Weekly Herald: 25 November 1882, page 7 (one stanza) and 19 July 1884, page 7 (five stanzas). C.N. 5223 discussed the complexities surrounding the latter work, which, we now add, was also published on pages 225-229 of Spens’ anthology Darroll and Other Poems (Edinburgh, 1881). Page 223: a poem indirectly referring to Morphy which had been published on page 185 of the June 1875 issue of the Huddersfield College Magazine (see C.N. 5223). Page 224: a quotation from Figaro reporting that Morphy ‘is confined to a lunatic asylum in New Orleans’, followed by a passage from the Glasgow Weekly Herald stating that according to American exchanges ‘the report of Mr Morphy’s insanity is entirely without foundation’. Pages 225-229: the five-stanza poem mentioned above. The fifth stanza related that the reports about Morphy were false, and it thus differs from the version published in the Glasgow Weekly Herald some three years later. Pages 233-236: a prose account of a match played in 1881 between the West of Scotland and the East, followed by a poem on the event, entitled ‘The West Victory’. 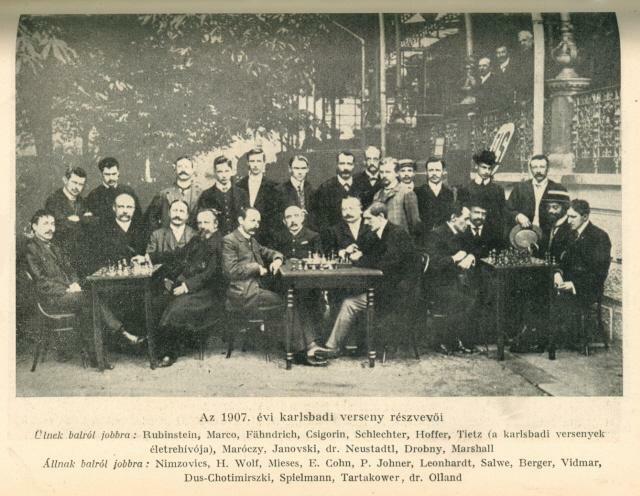 Concerning the phrase ‘the Pride and Sorrow of Chess’, we are thus as far as ever from tracing the original source. 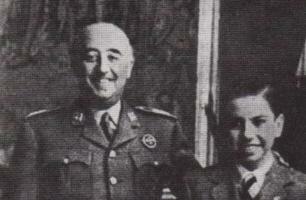 Tim Jake Gluckman (Cologne, Germany) asks whether information is available on any contact between Francisco Franco and Arturo Pomar. Although many of the key details remain elusive, all available information on this aspect of the master’s life is presented on pages 314-315 of an admirable new book, Albert Beauregard Hodges (subtitle: The Man Chess Made) by John S. Hilbert and Peter P. Lahde (Jefferson, 2008). Javier Asturiano Molina (Murcia, Spain) asks for further details about the 1408 display. We note that similar statements had been made (without any details) in the chess reference books of P. Sunnucks and E. Brace. The paperback edition of Golombek’s book (page 265) corrected Grenada to Granada. Source: page 19 of How To Get More Out Of Chess by Fred Reinfeld (New York, 1957). 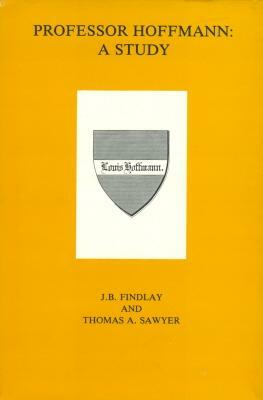 The book was later reprinted under the title An Expert’s Guide to Chess Strategy. No occurrence of the term ‘hanging pawns’ has yet been found in the writings of Steinitz, but Harrie Grondijs (Rijswijk, the Netherlands) mentions that Steinitz’s annotations to the game Mason v Zukertort, London, 30 April 1883 on page 339 of the Turf, Field and Farm, 18 May 1883 recognized the concept of hanging pawns and called them ‘not so strong’.